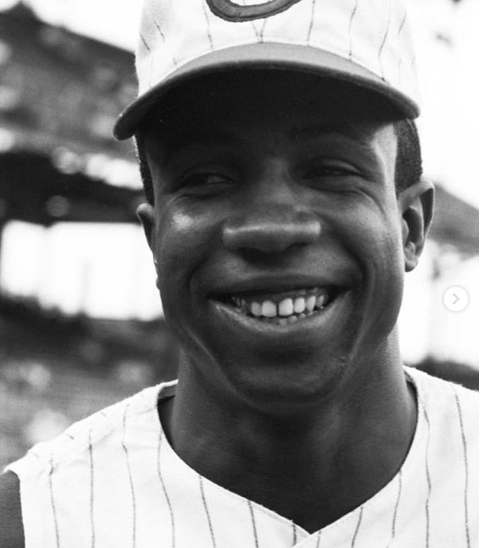 Baseball legend Frank Robinson died this week at the age of 83. He played for five teams between 1956 and 1976 and is the only player ever to be voted MVP in both leagues. He hit 586 career home runs and he was an All-Star 14 times. Robinson was also the first Black manager in MLB history. Thomas Boswell wrote about covering The Nationals when Robinson was their manager in the early 2000s. A story from a 1963 issue of Sports Illustrated might contain his epitaph. Robinson comes off as tough and hard-nosed. It makes sense that he’d go on to manage for so long — you’d have to be this tough to play in that era and be the first manager. He’s called a “moody tiger” in this. Take it as you will. It’s interesting to read fan reactions to the labour situation. Some people are very resentful about the players speaking up and are even praising the owners for being “smarter” about the contracts they give out. When The Astros won the World Series in 2017, books like Ben Reiter’s Astroball were written to illustrate this new way to win. This “new way to win” skipped a season because the Boston Red Sox won in 2018 without tanking any of the previous years and with a payroll of over 200 million dollars. It’s interesting how teams want to adopt one thing and not another. I don’t really care who gets “overpaid”, I just want to see winning on the field. I’m sometimes asked what improvements I’d make to the Rogers Centre and my answer is almost always, “Excellent product on the field.” People will show up and sit on lawn chairs if you put on a great show. Just pay people. Win baseball games. I heard rumblings on Twitter about a sexual assault situation involving Dodgers’ minor league players and that Gabe Kapler handled or mishandled it. I didn’t know about Nick Francona (yes, that Francona) or his involvement until I read this piece in SI. Gabe Kapler comes off a bit strangely here, which is a bit problematic for him as he is now the manager of the Philadelphia Phillies. Why on earth would Kapler suggest a dinner meeting between one of the victims and the players? It’s not to say that restorative justice tools don’t work, but it needs to be done by people who know what they are doing or it just makes things worse. Francona sounds like a highly principled person. It’s admirable how willing he is to speak up, even if comes at a cost to him. He is very vocal on Twitter. MLB officials tried to sweep this under the rug. Their lack of integrity led to an FBI investigation and federal grand jury. The Commissioner has some explaining to do. I’ve been in a similar situation professionally (though the issues were not as series), and I know how it feels to be unable to stop speaking up, even when you part of you knows it’d be easier to shut up. New skip Charlie Montoyo talked to a flock of Blue Jays media this week and said a few things about a few things, including some of his ideas about getting baseball players to do things. John Lott had the overview for The Athletic, including the idea that Devon Travis will play in the outfield. Ok, Charlie, you get one mention of an opener before you piss me off. Do not do it. I will find you. I know where you work. This isn’t an accident. This is a pretty canny move by the MLBPA. Curt Flood should absolutely be celebrated and remembered. I tweeted as much last September. This message about the man who essentially sacrificed his own career to fight for the right to free agency, in this climate of unsigned free agents, is not an accident. Did you know that the Tom Hanks character and the Geena Davis were far more of a romantic pairing in deleted scenes? It’s clear in the final film they like each other a lot (they fight/flirt like in a traditional rom-com), but I guess they decided to turn text into subtext. Dottie’s husband showing up is always kind of letdown, even though Jimmy is a severe alcoholic and they would probably come to resent each other terribly. "How did I get so useless so fast?" It’s one of my favourite Tom Hanks performances. It’s hysterical and tragic. Baseball America, who loves Vlad Jr.. talked to Ismael Cruz, the scout who signed him. Keegan Matheson, friend and editor in chief at Baseball Toronto, released a book this week. Click on that link to order a copy. It’s not just dry stats. It’s stories about why these kids could be, should be great. If you enjoyed any or all of this, consider subscribing.